In a culture that thrives on awesome casinos games, it’s no surprise that online casinos are becoming one of the top entertainment choices across the globe. Imagine being able to enjoy your favourite casino games, as well as discovering new games, and winning fantastic prizes without ever having to step foot into a brick and mortar building. As more and more online casino pages offer mobile device compatibility, online casino gaming has become even more prosperous. Get up to £200 to play today! If you are looking for excitement in the world of online casinos, look no further! With more than 400 games and big cash prizes, slotpages.com outshines the competitors! Slot Pages online casino also offers games that are compatible with mobile devices. These include great UK casino games like Raging Rhino, Well of Wonders, Valhalla, Fairy Tale Legends: Hansel and Gretel and many more… Many games are available for free in demo mode! Slot Pages features several ways to pay. Many patrons opt to pay via phone bill. The pay via phone bill option is safe, secure, and convenient. They can be enjoyed by anyone with a mobile device in the UK, and are eligible for the same promotions and VIP bonuses as other payment methods. Other payment options include Visa, Master Card, Maestro, Sofort, Giropay, Neteller, Skrill, and Paysafe card. Choose the option that is most convenient for you. Slot Pages hosts real jackpot games. Real Jackpot games have a progressive jackpot, rather than a static one. The progressive jackpot is the highest amount that you can win in a game, and is the amount that continues to increase with each game. Bigger jackpots equal more excitement! Currently, the progressive jackpots are £3,767,306.26 and continually rising! Slot Pages has incredible promotional offers for their players. 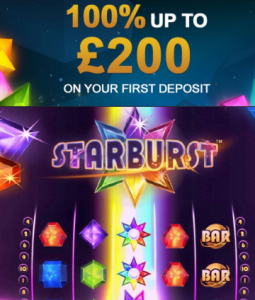 All new players who sign up today begin with a 100% welcome offer up to £200.00. They also have daily chances to win cash prizes by playing the game of the day. Every Wednesday, Slot Pages sends an email revealing the game of the day. Loyal players are given free spins on the selected games. Monday Madness is a weekly promotion. Every Monday players are sent an email with special individual bonuses, tailored specifically to your preference. Every Monday players are sent an email with special individual bonuses, tailored specifically to your preference. 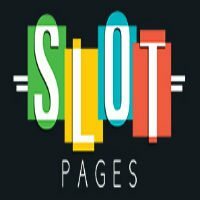 If you are new to the world of online casinos, or if you find yourself bored with your current online casino website, or curious about other options, why not make the switch to Slot Pages? With a plethora of games, convenient pay, and mobile play options, Slot Pages is your go-to for online gaming!